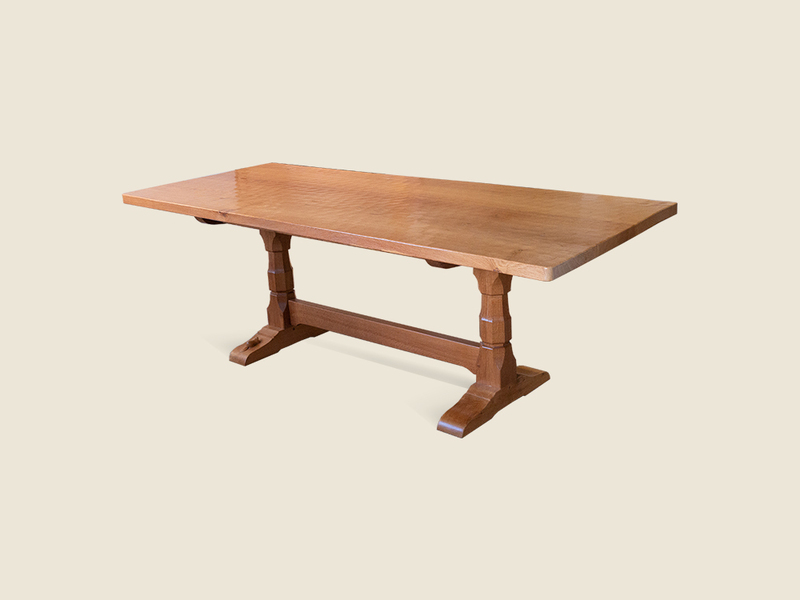 Made in the 1980’s this wonderful dining table is in excellent condition and has a beautiful adzed finish to the table top. The table is 7’3” long x 3’ wide. There is also an opportunity to purchase the original 6 dining chairs and two carver chairs with a low 3 panel back design.